Tech CPR stocks and repairs Computers, Laptops, Mobile Phones, Tablets, iPhones, iPads, Game Consoles. We remain fully committed to providing the best technical support and the latest quality products at the most competitive prices. We Repair iPad Air 2, Air, 4, 3, 2, the original iPad, The iPad mini 1, 2 and 3. All our iPhone repairs are done in our store in Chesterfield. 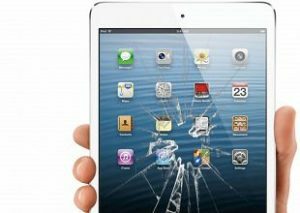 All our iPad repairs come with a minimum 3 months parts an labor warranty and if we can’t fix it you don’t pay with No Fix No Fee! Get in touch with our repair form below or give us a call on 01246 452319 to get that iPhone sorted quickly! The team have always been courteous and fair in all the many years that I have dealt with them. Also, to give advice with no pressure to buy. I have used Tech CPR for a variety of repairs, builds and software maintenance jobs over the years. I have always found them to be efficient and personable. I would recommend their services to anyone. Tech CPR managed to fix my poor laptop the same day after originally being told 2-3 days. Super impressive service that I recommend to all my friends 10/10. I took my iPhone to another store in Chesterfield. After getting it given back to me in pieces, Tech CPR put it back together, fixed my screen and had me fully sorted in less than a couple of hours. We consulted Tech CPR about our broken laptop, it wouldn’t even turn on, we were starting to think trouble was afoot. Happily, Tech CPR was able to get us fully back up and running and we’ve had no problems since. Tech CPR provide an excellent service in a friendly and helpful way. When it comes to Tech and Gadgets, we love it all. We are one of Chesterfield’s leading tech repair centres. We pride ourselves on excellence and the quality of work we provide and we are only happy when you are.